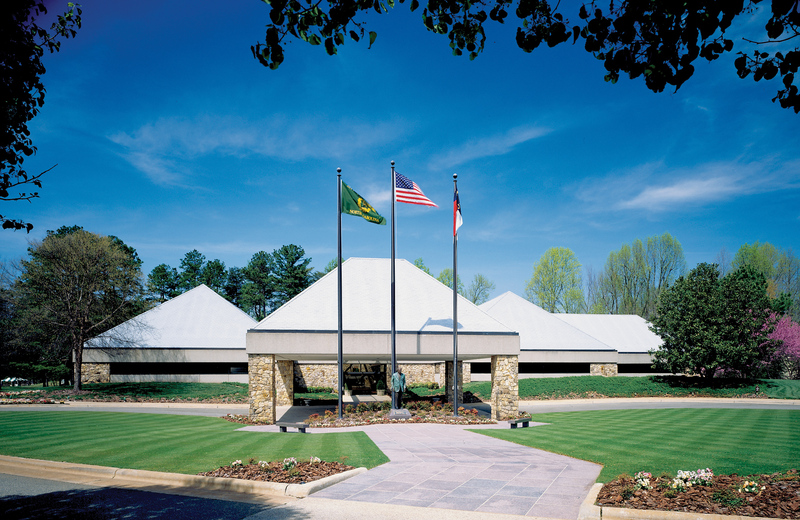 Bryan Park Golf & Conference Center, conveniently located in Guilford County, North Carolina, is the perfect site for business meetings, seminars, trade shows and retreats. It is also a popular venue for social and civic functions including sports banquets, retirement dinners, fundraisers, weddings and receptions, proms and formals, holiday parties, and more! 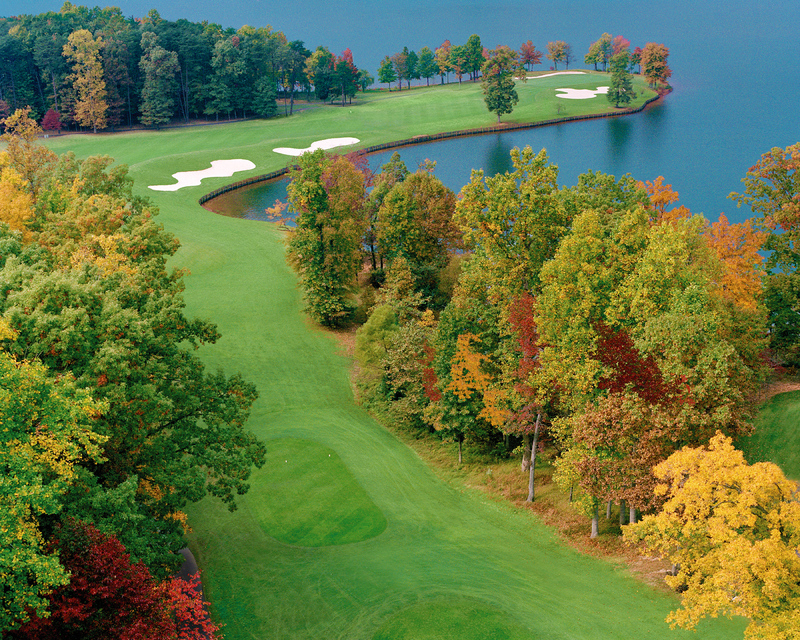 Just five miles from downtown Greensboro. Golf outings are a Bryan Park specialty too! 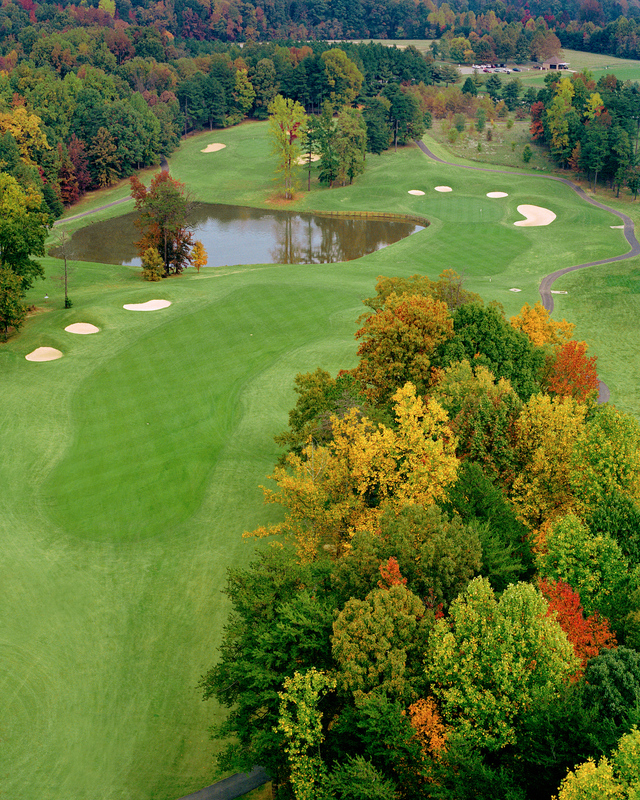 Two award-winning 18-hole courses to accommodate up to 144 players, complete food and beverage service, a comprehensive amenity package and expert planning assistance provided by our PGA Professionals add up to a winning combination for planners and players. CALL NOW to RESERVE YOUR SPECIAL DAY! The Bryan Park Enrichment Center’s unique design incorporates the natural beauty of its surroundings into each event, literally bringing the outdoors in with its vaulted atrium ceiling, abundance of full-sized windows and indoor glass-enclosed gardens. With 22,000 square feet of flexible event space, located within more than 1,500 acres of preserved woodland and recreational amenities…just a stone’s throw from beautiful Lake Townsend…Bryan Park’s private setting, extraordinary services and amenities, and experienced, caring staff offer the perfect combination to make your event a successful and memorable one. Bryan Park takes pride in offering clients the best in customer service. A full-service facility with all food and beverage provided by on-site staff, Bryan Park offers complete food and bar service for your convenience. Simply make your menu selections and leave the rest to our experienced Event Planner, Executive Chef and Culinary Team. The menus presented on our website are our quite popular, receiving rave reviews from clients and their guests. Please keep in mind, however, that they represent just some of our culinary expertise. We will gladly create custom menus to accommodate special event themes and guests’ dietary needs. Our philosophy is that it is never too early to think of holiday party planning! Secure the best dates and take advantage of early bird pricing when you book your December event prior to July 1. Bryan Park is decorated beautifully for the December holiday season. Garland, greenery with tiny white lights and our extraordinary fireplace are guaranteed to make your holiday entertaining a festive affair. For price-conscious planners, Bryan Park offers menus to fit just about any budget. And, our “Advantage Dates” are guaranteed to save you even more. We would be more than happy to personally discuss these additional options with you.